At any given time, Grammy Award Winning Songwriter, Vocal Producer, Arranger and Engineer Kuk Harrell’s imprint is on many of the songs that are dominating today’s charts. Kuk is one of today’s most sought after vocal producers on one of the hottest writing and production teams in the industry. Though Kuk works with some of the biggest artists in the business, he insists on keeping things simple. 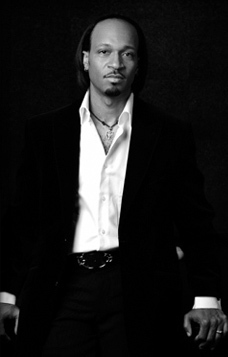 Whether he’s in the studio producing vocals on a track with the legendary Sting, an emotional ballad with Celine Dion, a pop/ R&B classic with Usher, or guiding a newly signed artist, Kuk’s goal is “…to take the artist to a level vocally that they’ve never been to before.” In 2004, Kuk joined his cousin super-producer Tricky Stewart at the Atlanta-based RedZone Entertainment. With his composition and production talents on Rihanna’s record breaking hit “Umbrella”, Harrell swept the music industry’s most prestigious awards. His vocal production on Mary J. Blige’s hit album “Growing Pains” received glowing critical acclaim. The 2008 release of Usher’s “Here I Stand” features his songwriting and production talents. Beyonce’s Song of the Year “Single Ladies (Put A Ring On It)”, was co-written by Harrell as well as the theme song of the epic film "Avatar". The current songs of heavyweight artists such as Katy Perry, Justin Beiber, Celine Dion, Ciara, “The-Dream”, Chris Brown, Jennifer Lopez, Lionel Richie and Jesse McCartney benefit from his musical gift, as do the projects of many of today’s hottest up and comers. Kuk Harrell continues to reign at the top of his field.